Rivets are permanent fasteners often used to pin together gutters, straps, and other pieces of thin-gauge metal around your house. Removing rivets may seem difficult–but a couple small tricks make it a cinch! 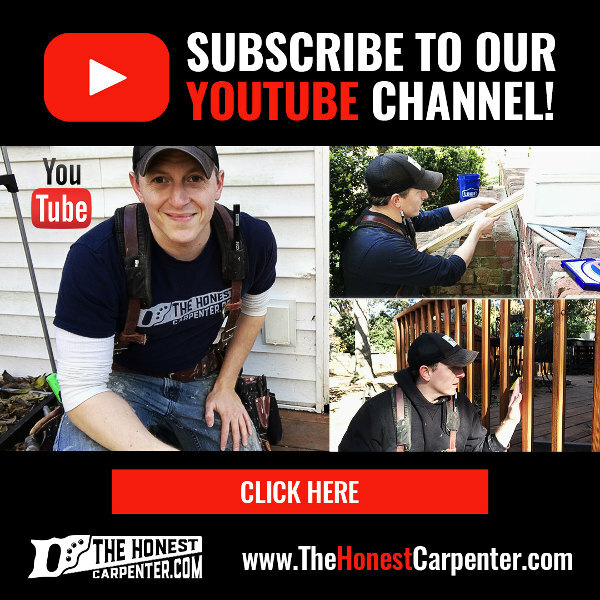 This article and video will not only show you how to remove old rivets, it will also show you how to replace them with a simpler fastener–gutter screws. Pop rivets are installed by a gun that draws the long pin through the rivet. The only way rivets can be removed is essentially by destroying them. 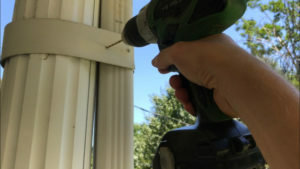 The easiest way to do this is by “drilling out” the rivet–using friction from a drill bit to cut away at the inner wall of the fastener, separating the shaft from the head. I always recommend using titanium drill bits to do this. They’re very durable, they stay sharp for a long time, and they’re hard enough to cut through both wood and non-ferrous metals. 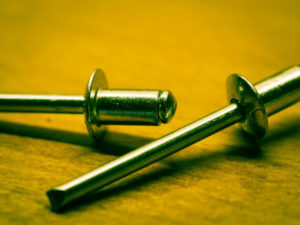 When the rivets are removed, you can often replace them with “gutter screws” (shown below). These short fasteners can typically be screwed straight into the holes left behind by the rivet. Pop rivets are used to pin together thin pieces of metal. 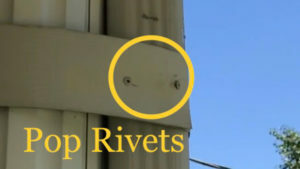 “Pop Rivets” are most often used to pin together gutters, straps, and other thin pieces of metal on the exterior of a house. They are also frequently installed in multiples to keep these components from swiveling. 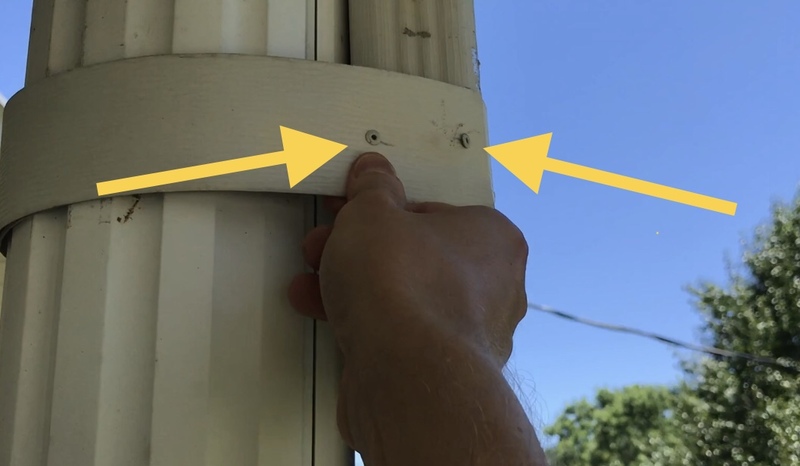 So, if you want to remove a gutter or downspout, you’ll often have to remove more than one rivet. Examine the area from multiple sides and determine how many rivets are present, and what role each one plays in holding the assembly together. Also, many components that get riveted tend to be several feet off the ground, often up near a fascia or roofline. 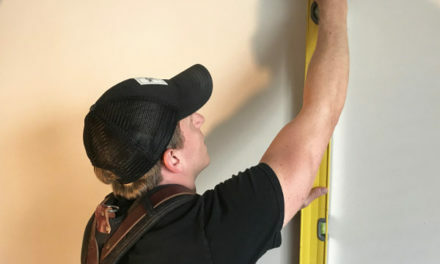 Make sure you have safe places to lean a ladder–and keep it well grounded–to reach the areas. ALWAYS be careful when you’re working off the ground! Select a titanium drill bit of the appropriate size. Pop Rivets have a small hole at their center. This hole determines the size, or thickness, of drill bit that will be required to remove the rivet. Simply select a drill bit and hold the point up against the rivet hole. 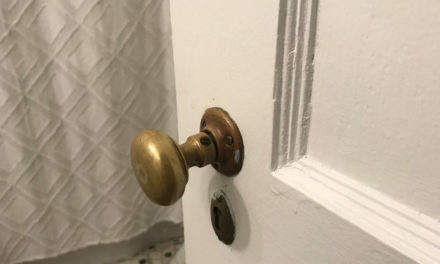 If the bit passes into the hole, it is too small. 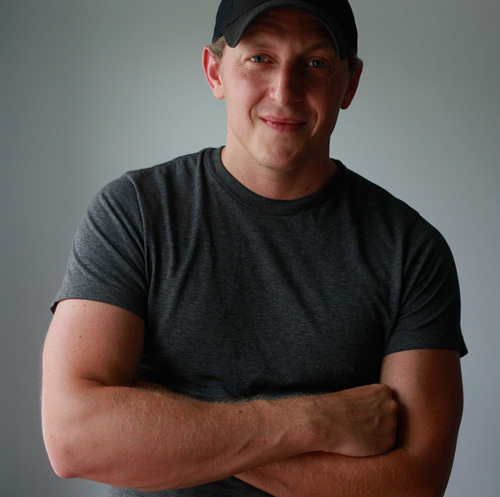 You want a bit that is just slightly too large for the hole–1/8″ is often the perfect size. 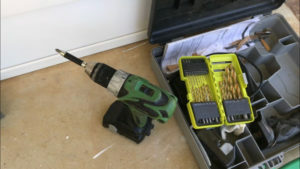 Chuck the bit into your electric drill and make sure it is secure. Drill directly through the rivet hole with a 1/8″ drill bit. Carefully place the tip of the drill bit into the hole at the center of the rivet. Holding the tool perpendicular to the fastener, you can begin to drill. Boring through metal is more about pressure than speed. Maintain a low speed while keeping fairly firm pressure on the bit. But, make sure you don’t break the bit! 1/8″ bits are fairly skinny. Don’t press hard enough to bend it, and make sure you’re not angling the drill. After about 5-10 seconds, you should hear a different, lower sound coming from the fastener. This is the bit digging its way through the metal wall. Back off some pressure to prevent jabbing the bit through with heavy force. When the head of the rivet is cut loose from the wall, the bit should punch the body of the fastener the rest of the way through. You will be left with the small hole that was originally drilled for the rivet to sit in. Drill out any other relevant rivets, and pry apart the components. Just be sure that nothing suddenly falls when it is no longer being held together! Some removals will be permanent–you may no longer need the components your removing. Others will be temporary, and you will need to reattach some pieces later. If you have a pop riveter, you can simply line up the old holes in components and install a new rivet in them. Most people don’t have riveters, though, and installing another rivet may only create a situation where it might need to be tediously removed again. That’s why I like to reattach pieces with gutter screws. 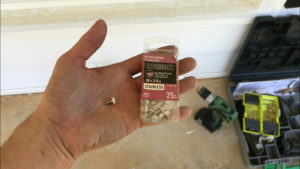 The screws come in a variety of colors (white and brown being the most common), and they’re short enough that they won’t create obstructions in gutters and downspouts. To install them, simply line up the old holes in the components. 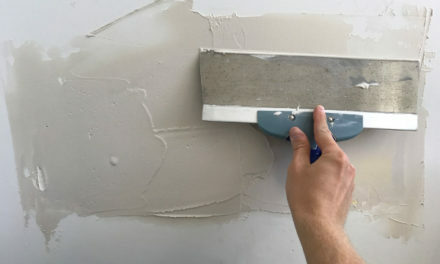 Clamp the components together with one hand, and insert the tip of a gutter screw through the holes with the other hand. 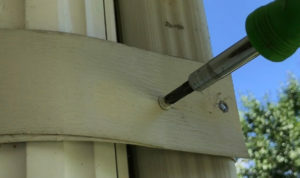 Gutter screws can be installed using a screwdriver. You can now install the screw fully by turning it through the two components. A 6-in-1 screwdriver is all you usually need (I linked an 11-in-1 in the tool list up above). You can use the Phillips, flat-head, or nut driver options as required. Make sure you can feel the components drawing together. The threads of the fastener will cut channels in the thin metal walls, locking them together pretty firmly. If you can’t get old holes to line up, new ones can be drilled with the same drill bit you used to cut the rivet. 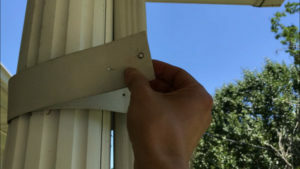 Or, in some cases, simple pressure is enough to turn the gutter screw through the metal of the components even without a pre-drilled hole in place. If done correctly, it will look as though a replacement never occurred. 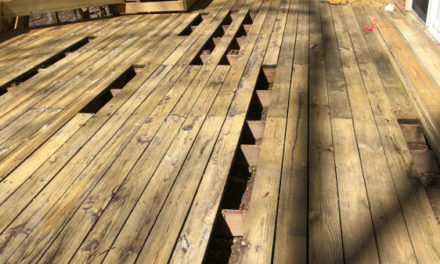 Gutter screws will blend in almost as seamlessly as flush rivets!